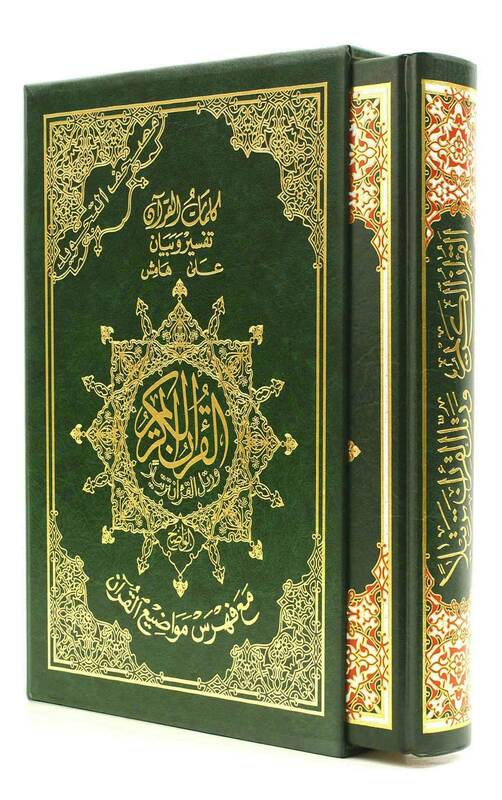 Home » Whole Quran » Tajweed Quran With Case 7"x9"
Tajweed Quran With Case 7"x9"
Tajweed Quran with Case. With Quran words and topics index. Indexes: Quran words Index & Quran topics index. This is complete Color Coded Tajweed Quran (from Surah Al-Fatiha to Suran Al-Nas), it comes with a nice, beautifully designed hard and heavy duty cover, very strong binding, perfect finishing. This Quran comes in different colors (unfortunately we can not guarantee the color availability, howevere all colors are very nice). The paper quality is very high, with Interpretation of selected words on the margin of each page. Alla (sw) ordered us in his holy book to recite the Quran with Tajweed ... "Quran recitation modulating". 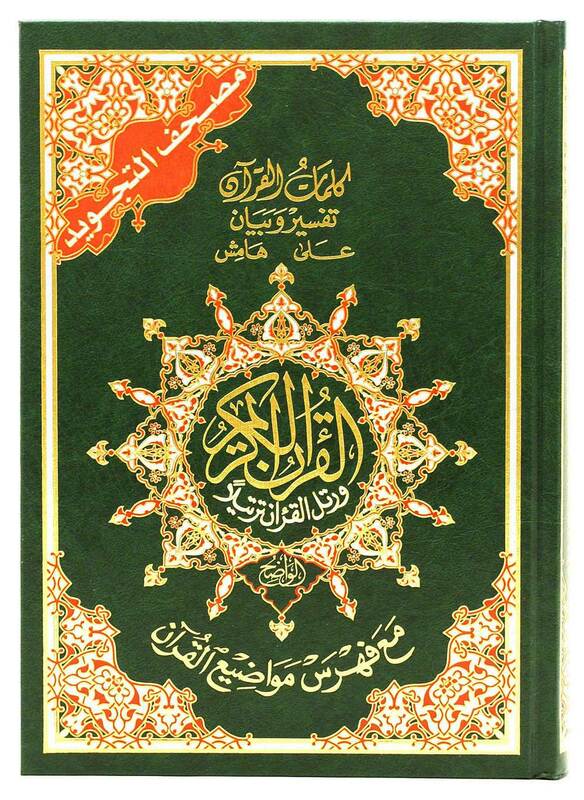 System of Tajweed serves as a guide for improving the recitation of Quranic style. It was in this way that the Qur'an revealed to Prophet Muhammad (peace be upon him), as well as the manner in which he recited it. Therefore, the readers of the Quran are eager to realize the promise of the Prophet Muhammad (pbuh): "whoever recites the Quran correctly and proficiently will be with the bountiful dutiful writers (the angels of the preserved tablet - Al lauh Al Mahfuz". - The letters which requires expanded vocalization. We used red color to highlight these letters. - The letters which are nasalized these letters are green in color. - While the letters which are written but are not vocalized. These letters are gray in color. A set of very useful indexes such as: Surahs Color Index, Subject Index. For more details about the above features please visit our Knowledge section.